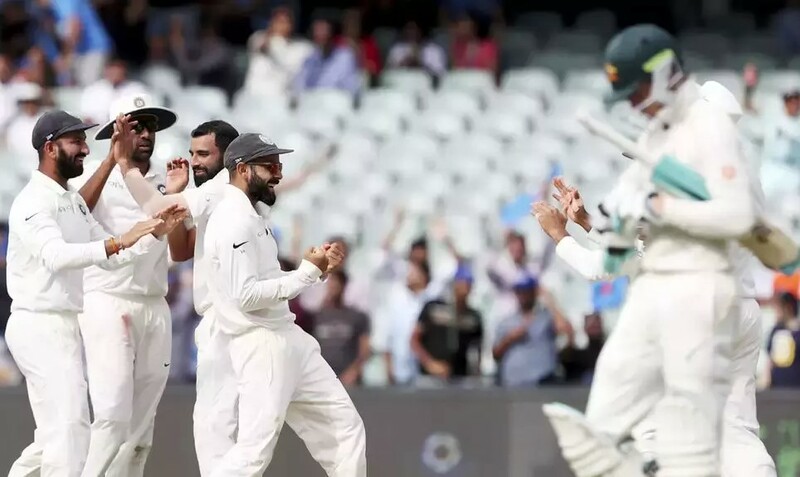 India Defeated Australia By 31 Runs, India Won Test Match After 15 Years In Australia: 10-12-2018 Today News India defeated Australia by 31 runs in the first Test. Team India won 10 years later on Australian soil. The previous win was in 2008 in the captaincy of Anil Kumble. Then India defeated the hosts by 72 runs in Perth. Along with that, Adelaide has won 15 years later. Last time Saurav Ganguly captaincy in 2003 was a success in the Adelaide Test. Between the two teams won the first match of the India Series for the first time in Test history of 71 years. The second match of the four-match series will be played in Perth from December 14. Chasing the target of 323 runs from India, the Australians were reduced to 291 runs in the second innings on the last day. Shaun Marsh top-scored with 60 and skipper Tim Paine scored 41 runs. Mohammed Shami, Jaspreet Bumrah and Ravichandran Ashwin took 3-3 wickets for Team India. Earlier, Australia scored 235 runs in the first innings. At the same time, the Indian team scored 250 and the second 307 runs. This was India's 45th test on Australian soil. Team India won this sixth 28 defeats and 11 draws. Virat became the fifth Indian captain to win the match there. The first was the victory in the captaincy of Bishan Singh Bedi in 1977. Under his leadership, India won two tests there. He is the only captain to win two Tests. The list also names Sourav Ganguly, and Anil Kumble. On the fifth day, Ishant Sharma gave the Indian team the first breakthrough. He got Travis Hayd caught by Ajinkya Rahane in the 57th over. Head scored 14 runs off 62 balls. After that Jaspreet Bumrah sent the pavilion to Shaun Marsh on the first ball of the 73rd over. Marsh scored 60 runs in 166 balls. For the first time in Test cricket, he scored a half-century in the fourth innings.